It is replaced by the Honeywell 3800g. 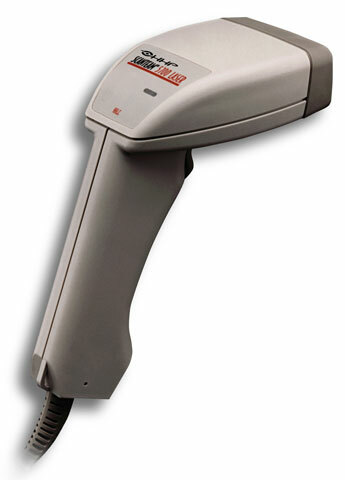 The ScanTeam 5700 is a high performance scanner suitable for any general purpose application. The ScanTeam 5700 Handheld scanner is a high performance laser. It combines excellent laser scanning performance along with our traditionally excellent decoding, interfacing, and product durability reputation. The ScanTeam 5700 is available with a full suite of decoded output interfaces or non decoded output for connection to external decoders or portable terminals. The ScanTeam 5700 scanner is comfortable to use, rugged and easy to program. Upgradeable Flash memory, and Quick Load, a Windows-based programming tool are available to maximize flexibility. High performance, triggered, Keyboard wedge interface. Order cables separately. See accessories. High performance, triggerless, Keyboard wedge interface. Order cables separately. See accessories.